SOUNDS LIKE A LATE NIGHT BARSTOOL COMMENT " GET RID OF THE FCKRS AT THE TOP ". THERE'D BE SOME COMPO BILL FOR ALL THE STAFF WHOSE CONTRACTS YOU'D TERMINATE. YOU'RE AT YOU'RE ONE TRACK SUBJECT AGAIN. 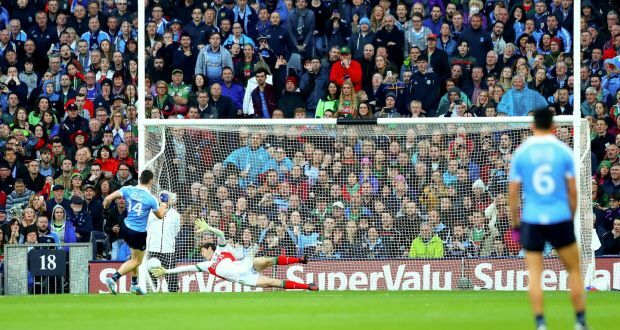 THE GAA BROKE ITS OWN RULES TO ALLOW THAT SOCCER MATCH TAKE PLACE. WASN'T AWARE THE GAA HAD A STADIUM IN TALLAGHT. PÁIRC FRANK REINFORCES THE CASE FOR MORE CENTRALISM IN THE GAA. 1. Well isnt that the point? How do the GAA have more admin staff than the FAI and IRFU combined? Get rid of the committees. 2. I meant the cost and pitch debacle. And they absolutely did not. 3. So? Dublin is tbe biggest county, it should win more than it has. Nothing tbey have dobe cant be done elsewhere. 5. There isnt in Tallaght and it coat the GAA a million to still not have one. Casenent was the forgery of health and safety reports. PuC who knows. But the pattern is there. Fail. Fail. Fail. There is a diffetence between centralisation and oversight. People like you with the 'sure its grand' attitude and abusing me for being critical are a major problem. Surely clubs should invest in promotion officers rather than paying outsider manager to manage their adult teams. Clann na Gael , St Brigids, Garrycastle and St Lomans all midland clubs paying outside managers 150-200 a training session. Stephen Rochford was 250 a session with Corofin and they trained 3 nights a week. James Horan was getting something similar with Westport. Clann and Brigids would be the 10% in Roscommon. A bit pointless when Dublin clubs not only pay managers, they also pay outside the county players to play for them. That's what happens when you go chasing the business school/corporate types to run the organisation. Before you know it revenue growth, leveraging synergies and so forth take precedence over everything else. Supporters and volunteers are then just cash cows to eek every single brass farthing out off. What do ye think of us (The GAA) buying Clonliffe College? "our plan is to develop the site to deliver extensive GAA facilities, a new hotel to complement a proposed Cusack Stand redevelopment and, importantly, entering into a partnership with a developer to deliver substantial social and affordable housing,"
What business does the GAA have in building houses? Also, whats the cusack stand redevelopment that is proposed? If the site is going to be sold anyway, it might make sense for the GAA to purchase it, rather than letting it go to a 3rd party who could build anything there that might not suit the GAA. But I don't see how building hotels and houses promote the activities of the GAA.